Want to have a sturdy, hard-wearing and weather-resistant concrete driveway for your home? Are you concerned about the impact a simple and plain-looking surface will have on curb appeal? Relax! 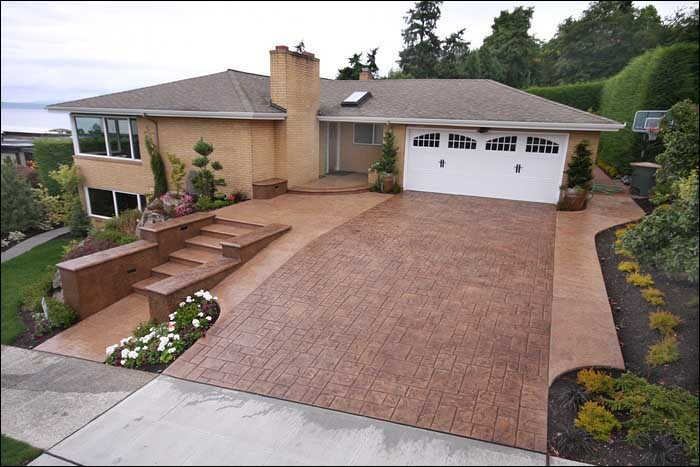 RC Concrete has the perfect solution to your dilemma.As one of the leading concrete driveway contractors in the Renton, WA area, we can turn the dull to fabulous with stamped concrete driveway installation. Our technicians can etch beautiful, colorful patterns on the concrete surface to create a driveway that has all the beneficial features of concrete but also looks fantastic. Wish to know more about stamped concrete driveway or want to look at stamped concrete driveway designs? Call us today. No two homes have similar construction requirements. Meanwhile, no two homeowners have the same vision, preferences or, more importantly, budgets. Nobody understands this better than us. 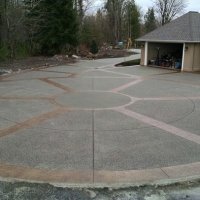 That is why we tailor our concrete driveway installation services in Renton per the unique specifications of every project. We strive to create a surface that is true to the decorative concrete driveway ideas of our customer. We are committed to constructing a decorative driveway that is exactly like you had envisioned. We appreciate the trust homeowners place in us when they choose us over other local concrete driveway contractors in Renton and its nearby areas. We make every effort to justify their faith, delivering the superior services that they need, expect and deserve. Our excellence in service quality as residential driveway contractors is not limited to the workmanship on decorative concrete driveway installation. It helps that we are licensed and bonded concrete driveway contractors. 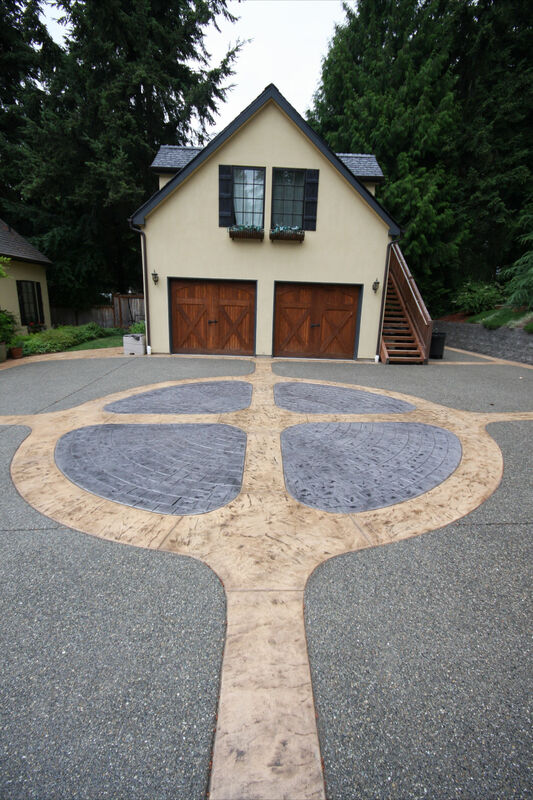 Call RC Concrete at (253) 200-9897 to discuss your stamped concrete driveway installation project in Renton.